Diamond Elevators is the elevator company California locals call first when looking for dumbwaiters. They offer a simple, economical solution for movement of heavy and awkward loads throughout your multi-story house. Groceries, laundry, supplies, and even firewood can be transported up several stories with the push of a button. These small lifts offer the perfect solution for situations where a lift is required but a larger vertical platform lift isn’t needed or feasible. 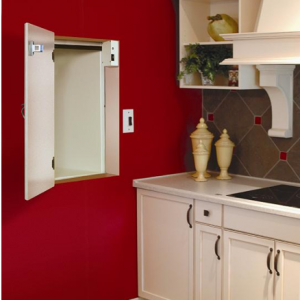 These smaller lifts are dramatically easier to install in your house than a conventional elevator or lift, leaving a much smaller footprint on your residence. The simpler mechanics involved cut down on installation time, in fact Diamond dumbwaiters arrive from the factory with many parts pre-installed on the car and track including the cable drive system and on some models the car and drive system as well. Another elevator company California may offer similar models, but our lifts have no intricate and complicated rail system to be assembled in your home and a simplified wiring scheme to make installation and maintenance easier and more convenient. While most models are constructed like scaled down versions of regular elevators requiring a complex cable and pulley system, our models have no pulleys to install, simplifying the whole process. Diamond dumbwaiters can be tailored to suit the needs of your home and budget regardless of requirements. A variety of car sizes are available depending on your households needs, with lifting capacities of up to 200 pounds to handle even the largest loads. Car travel length can even be extended up to four stories depending model powdered by reliable and proven drive system. 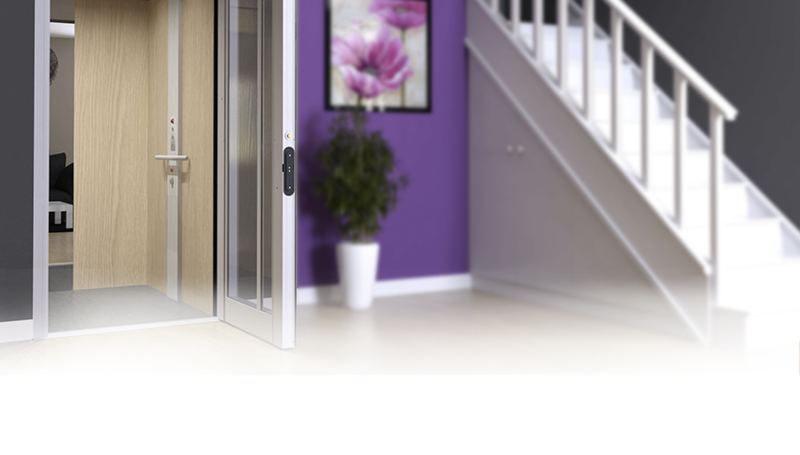 These small lifts can be an indispensable time and labor saving addition to any multistory dwelling. They also offer a great opportunity to quickly, easily, and economically increase the value of your home. The easy installation, affordability, and reliability of Diamond dumbwaiters make them a great addition to any home.